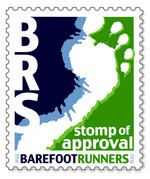 6January 25, 2018Time to celebrate 8 years of barefoot running and hiking . . . with a 50-mile race? 0July 12, 2017What are your (barefoot or not) options? 6July 6, 2017Fourth of July or Thanksgiving? 3February 10, 2017A Break in the Rain = Wildflowers! 8January 1, 2017Happy Barefoot & Muddy Trail Runnin’ New Year!